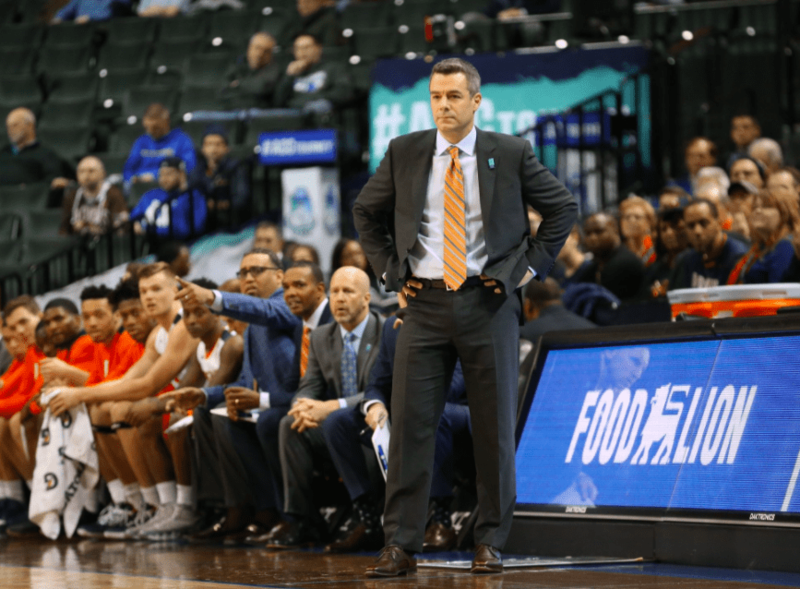 On March 16th, 2018, coach Tony Bennett and his Virginia Cavaliers men’s basketball team made history by losing to the University of Maryland-Baltimore County, thus becoming the first #1 seed to ever lose to a #16 seed in the NCAA tournament. As I continued to see his post-game words retweeted and shared on Facebook over the weekend I began to realize that maybe this was a good thing. Maybe this was an opportunity for people to see that who you are as a person is more important than winning and losing. And maybe it is an opportunity to show that the greatest truth Coach Bennett knows, and the promise that God gives each of us, does not change whether we win the championship or lose an embarassing game. What many people like to do is point to Virginia’s loss and blame Coach Bennett’s style of play. That he is too focused on defense. That his offense is not high-powered enough, etc. This is a debate that can go on and on and the fact is, there are many different strategies and philosophies that can win games. However, on any given day, any strategy and philosophy is subject to lose. What we really need to guard ourselves against is buying into the idea that when good things happen to us, God loves us more and when bad things happen to us, we have done something wrong or He loves us less. If you think God is helping you win a sports contest because He favors you, then you are saying that he loves you more than your opponent who you just defeated, and God loves all his creation the same. We can’t only praise God for the wins. When God says that He has plans to prosper us and not harm us, what He means is that through what Christ did for us and through His promises we can have a calm inner peace to handle everything that is thrown at us. He is talking about prospering us with internal rewards, not external rewards. It doesn’t mean we won’t feel emotions. I’m sure Coach Bennett and his players felt a variety of emotions after all the effort they put into doing something they love and falling short. But no matter our level of talent, resources, or confidence, we will experience adversity at some point. God doesn’t promise to take away all our discomfort. He promises to give us a reason to be strong enough to deal with any disappointment. And that reason is Jesus Christ. He also promises that we do not have to do it alone. In times of great disappointment or adversity like Coach Bennett’s historic loss, this is an opportunity for us to open ourselves up to God’s love, strength, and guidance. In verse 13 of Philippians 4, God tells us that we can do “all things through Christ.” This does not mean that if we try hard enough we can win a national championship, be elected President of the United States, or win a Nobel Prize. We may or may not achieve some of those things. This means that whatever circumstances we experience or whatever we achieve or don’t achieve God will provide us the strength to not only survive, but to thrive and honor Him.